My English mother didn’t care for Cornish pasties. My French father and I loved them, so when my mother had a regular church meeting on Tuesday evenings, my father and I often would pop down the hill and buy freshly baked Cornish pasties wrapped in paper at the takeout window of a local tavern/restaurant. Hurrying home in the cold, we would savor this scrumptious treat together at the dining table. This comfort food ritual didn’t take place in England, but in Grass Valley, California, an old mining town in the Sierra Nevadas. Grass Valley was a mining town in the heart of gold rush country, but the area's surface gold that could be found in streams with a gold pan was exhausted by the 1850s. However, the area still had rich veins of gold deep underground. The town became home to the Empire and North Star Mines, two of California’s richest mines. When the price of English tin fell dramatically, tin miners from Cornwall, England, emigrated to Grass Valley in large numbers to work in the gold mines. They were skilled at working far underground and pumping water out of deep mining shafts with what was called a Cornish pump. These Cousin Jacks and Jennys, as they were called, made up more than 60 percent of Grass Valley’s population in the 1890s. With them, they brought culinary customs, including Cornish pasties. A Cornish pasty is a meat and potato pie, usually flavored with rutabaga or turnip, salt and pepper. The miners took the pies into the mines in a lunch bucket and heated them with a candle at noon. 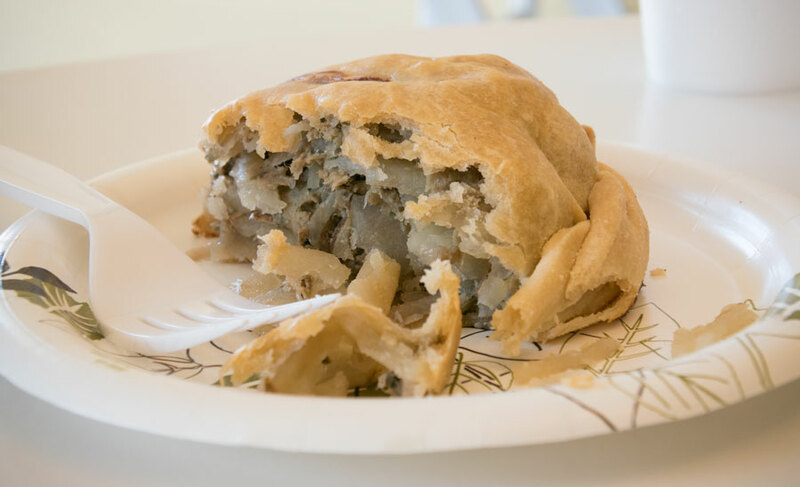 Today, Grass Valley still has several restaurants that serve pasties made from old recipes and some of them have diversified into making various flavors. 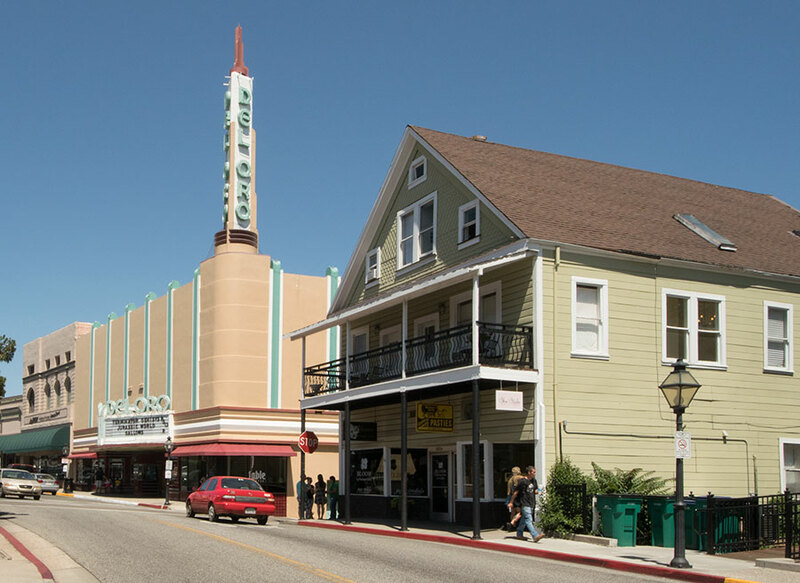 When we drive through Grass Valley, we always stop and grab a pasty at Marshall’s Pasties just two doors from the Del Oro theater downtown at 203 Mill Street. This is our preferred venue for pasties. Since we only make it on this route once or twice a year, we have to make do most of the time by baking our own pasties. 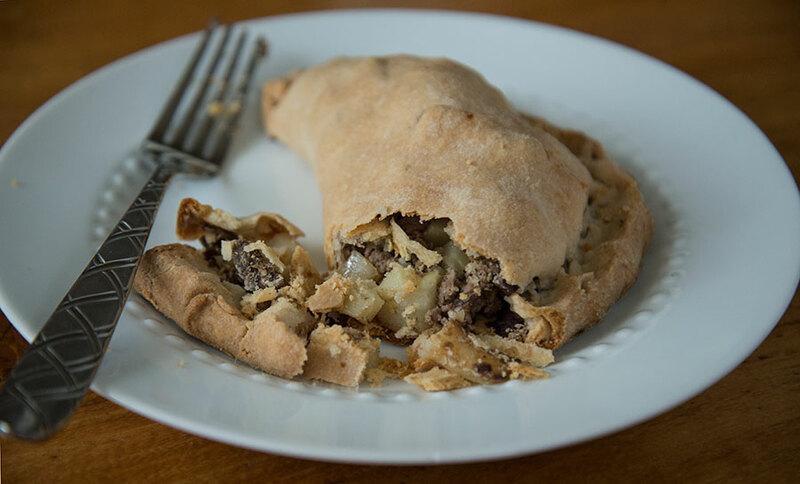 We have taken the custom of making Cornish pasties around the world with us and made them in Asia and on the East and West coasts of the United States as well as the Rockies. The pasties at the top of the page and below are our homemade ones. I would include our recipe for Cornish pasties, but it changes every time we make them. We generally just choose a favorite pie crust recipe, use ground beef or cut up steak for the meat and peel and cube potatoes. I usually don’t have any turnip or rutabaga when I get the sudden urge to make pasties, so in those cases, I include some celery seed and salt and pepper for flavor. To shorten the baking time, I cook the potatoes, meat and flavorings on the stove and then fill the pie crust. I roll out pie crust rounds, put two or three spoonfuls of filling on one side of the crust, and fold the other side of the crust over the filling into a half round shape. Then I fold over the edges again and crimp them. I’m not very good at it – Marshall’s pasties are a work of art that I have never quite mastered. Still, our homemade ones taste yummy. I cook them for about 1/2 hour at 400 degrees. We eat them with ranch dressing or ketchup. 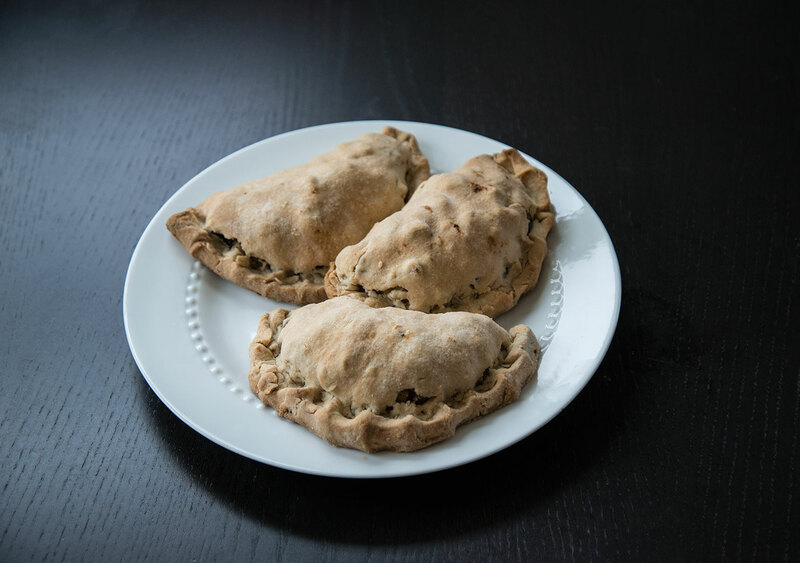 We rarely have left over pasties, but when we do, they make a perfect lunch the next day.